In 2019, we’re thrilled to host a special exhibition of work by Bay Area artist Kurt Schwartzmann at the LightHouse for the Blind Gallery in our headquarters starting on Thursday, January 10. Please join us for the exhibition opening from 4:30 to 6 p.m. While most MUNI riders have less than flattering things to say about the Bay Area transport system, for LightHouse client Kurt Schwartzmann it was a refuge when he needed it most. It was early in 2008, and Kurt was confronting homelessness in San Francisco. He was exhausted, cold and lugging a suitcase full of his belongings from one place to the next. All he wanted was a somewhere to sit down and get warm. While resting at a bus stop, a bus pulled up and he asked to get on: “I don’t have any money but I would love to be able to board your bus,” he said to the driver. A small and everyday gesture from the driver was a pivotal life moment for Kurt, who was deeply affected by the humanness and compassion the driver showed him. It was the first but not the last time that Kurt found safety and a place to sleep on the buses that crisscross the city, from drivers who would accept whatever payment he could manage without humiliation or scorn. It’s a uniquely San Francisco tale — but it just barely scratches the surface of Kurt’s storied life in the city he loves so dearly. Kurt, who grew up in Fresno, California, moved to San Francisco seeking the freedom to be himself as a gay man. He has been drawing since he was in kindergarten, but it wasn’t until after he went blind in his left eye that he took up art in earnest and discovered the unique composition that characterizes his series “Yellow Line”. Kurt lost the vision in his left eye in 2006, due to a complication with AIDS. His doorbell rang and he suddenly realized that he could not see anything through the peephole. 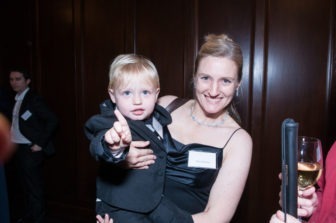 Unknown to him and his doctors, Cytomegalovirus (CMV) retinitis had attacked his left eye from behind and his vision diminished slowly and painlessly. As he describes it, his field of vision is a long thin stripe, which allows him to narrow in on his composition while drawing. Kurt got back on his feet and sought Counseling Services at the LightHouse in 2015 in hopes of dealing with some of the frustration and anger he experienced as a result of his vision change. Working with a Clinical Psychologist at LightHouse has helped him reframe his thinking and language around his vision. Just as the white cane is a useful symbol to communicate blindness to the outside world, Kurt wears an eye patch to indicate that he can’t see in his left eye — just in case he bumps into someone on the street or doesn’t see them waving. Kurt is now happily married and living in Golden Gate Heights with his husband Bruce and their dog Louie. Bruce encouraged Kurt to pursue his lifelong love of making art — and to start by designing their wedding invitations. It was a fitting proposal, and led Kurt to City College of San Francisco where he took his first printmaking class in 2015. His art evolved, and as a frequenter of MUNI, he devised his “Yellow Line” series to honor the drivers. In this series of 64 drawings, Kurt works with pen and ink, watercolor, acrylic pen, on cold press watercolor paper. His drawings are 3.5 inches by 16.5 inches. He describes his choice of drawing proportion as a “slice of life,” as he sees it. When he worked on the pieces in 2015, he would sit at the front of the bus, catty-corner to the driver’s seat. His favorite buses to frequent were the 6 and the 43. With his monocular vision, he could block out the entire world on the left side, focus in on the driver in vivid detail. Kurt’s love affair with San Francisco doesn’t stop at MUNI — he also has a series of drawings of the Transamerica Pyramid. Check out more of his work on his website. A distinguished longtime board member and pioneer of rehabilitation services at the LightHouse for the Blind and Visually Impaired in San Francisco, there are few denizens of our community more respected and knowledgeable than Gil Johnson. Growing up as a confident, free-thinking young blind man and coming to the LightHouse during a pivotal moment for blindness in the late seventies, Johnson changed the course of our training services and defined the future of the then somewhat fractured LightHouse organization. In honor of Johnson’s 80th birthday, LightHouse CEO Bryan Bashin set out to record an oral history: to capture the nuances of Johnson’s early life, career, and ongoing journey after LightHouse. The result is nearly six hours of humorous, thoughtful reflections on the past, present and future of what it means to be or become blind. The podcast series was recorded on three separate days and is broken into seven total parts below. Mp3s are available for download or to stream directly. Part 1 (recorded November 2017, 2 segments): Gil talks about his childhood, development as a young blind man and the early career moves that brought him to the blindness field. Part 2 (recorded December 2017, 3 segments): Gil discusses the state of LightHouse when he arrived in the late 70s, and goes in depth into the challenges and opportunities as he took on the task of innovating in rehabilitative training through the 1980s. Part 3 (recorded August 2018): Gil discusses his transition away from LightHouse, taking on services for the blind in Illinois and the new era for the LightHouse and its community as the 1990s approached. 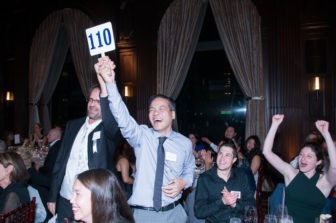 On Thursday, November 29, hundreds gathered at the Julia Morgan Ballroom in downtown San Francisco for the LightHouse Gala: A Celebration of Blind Ambition. 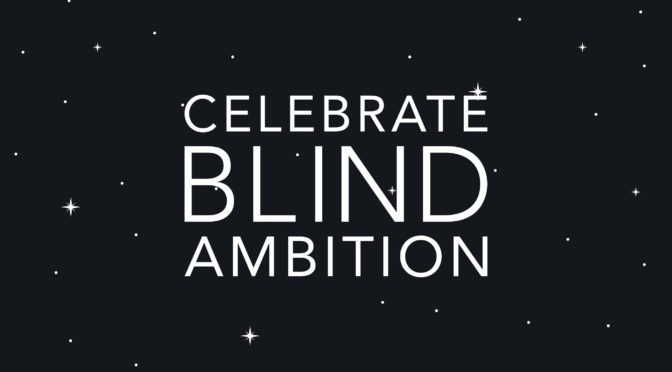 The event, which was the 116-year old LightHouse’s first independent gala celebration, honored blind role models and boundary-pushers of all kinds, not just for high-achievements but for their level of audacity and ambition. 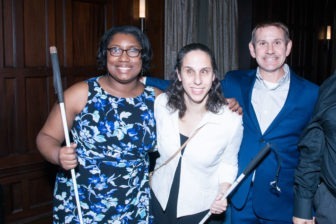 Capped off by presentations from the three winners of the agency’s Holman Prize for Blind Ambition, the event also featured the new LightHouse awards ceremony to acknowledge longtime leaders from the field of blindness who have had a great impact on the community. The full list of award recipients is below. Scott LaBarre, a blind attorney from Colorado who accepted an award for his work to ensure the recent ratification of the Marrakesh Treaty, gave a rousing speech. Maryanne Diamond, former president of the World Blind Union, accepted her award from Australia. The 71-country treaty, which allows for accessible book formats to be available around the world, had its toughest time in the most developed countries, namely with the United States Senate who ratified the treaty in October. George Kerscher, who accepted an award for his creation of the accessible ebook format known as DAISY, echoed LaBarre’s emphasis on education, praising publishers who are now producing ebooks that are “born accessible” for blind readers. 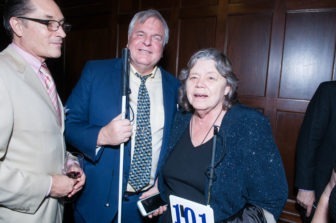 Catherine Skivers, former president of the California Council of the Blind, was also honored for her enduring work in the blindness field, which spans several decades. Scott LaBarre and Maryanne Diamond, for their work to ensure the ratification of the Marrakesh Treaty which will allow for the spread of education and literature to blind readers around the world. George Kerscher, inventor of DAISY, the groundbreaking technology that created a new standard format for accessible books. Adopted around the world and by nations as an official delivery format, Kerscher has not only been an innovator but a fierce advocate for blind learners everywhere. Catherine Skivers’ enduring commitment to the furtherance of the blindness community is rooted in California, but felt throughout the world. 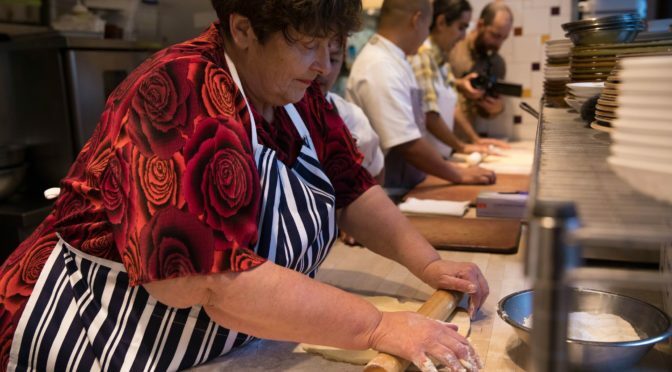 Holding many leadership roles through her career including president of the California Council of the Blind, Skivers has demonstrated an unwavering commitment to equity, dignity and authenticity for blind people everywhere. Ceremonial medals were also given to the 2017 Holman Prizewinners, who were honored for the completion of their year-long projects which furthered the cause of blindness across six continents in the fields of adventure sports, entrepreneurship and cultural exchange. Founded in 1902, San Francisco’s LightHouse for the Blind and Visually Impaired promotes the independence, equality and self-reliance of people who are blind or have low vision. LightHouse offers blindness skills training and relevant services such as access to employment, education, government, information, recreation, transportation and the environment. LightHouse also pursues the development of new technology, encourages innovation, and amplifies the voices of blind individuals around the world. To receive services, volunteer or make a donation, visit lighthouse-sf.org. Happy Halloween! We’re bringing you tips on how to carve a pumpkin non-visually written by our Independent Living Skills Specialist, Bobbi Pompey. We’re also featuring photos from our pumpkin carving workshop earlier this month. A young girl looks down at a pumpkin, secures the pumpkin with one hand and cuts into the pumpkin with her other hand. Begin with the End in Mind! : Have a plan for how you want your finished pumpkin to look. Will it be happy? Scary? Round? Misshapen? All of this will affect which pumpkin you purchase, and how it will be designed. Mise en Place: This French cooking phrase refers to having everything you need out and organized before beginning to work. For this project, you will need a serrated knife, a spoon/scoop, one or two bowls, tape/glue, materials to layout a template and any finishing touches. Stay Safe: When carving the pumpkin, please remember to practice your knife safety skills! This includes using a sharp knife, cutting with the blade away from you, and putting the knife in a designated location when not in use. What works for you? : The key to creating your design is making a tactual template that you can then cut around. This template can be made from a variety of of materials, you must decide what is best for you. You may want to use; masking/painting tape, pipe cleaners, wiki sticks, yarn, or paper folded in the desired shapes. A hand sits atop a pumpkin with blue masking tape around the top circumference. Design your pumpkin. Tape or glue down your design materials in order to create a template for your design. Cut a circle around the stem in order to form a lid. Cut with the knife at an angle, away from the stem, so that the lid will rest on the top instead of fall down into the pumpkin. Scoop out the inside. Use your hands and a spoon or scoop in order to scrape out the guts and seeds of the pumpkin. Separate the seeds if desired for later use. To toast the seeds: toss them in oil or melted butter, add salt and seasonings if desired. Spread them evenly on a baking sheet, and cook in a 300 degree preheated oven for approximately 45 minutes. Decorate and display! You can place a battery operated tea light candle in your pumpkin to add light to your design, cover the openings with colored tissue paper to give your pumpkin a festive glow, or surround it with pumpkins of other sizes, a candy bowl, pine combs or greenery as finishing touches. Gail “Sunshine” in front of her cabin at EHC, with a new cane and carved pumpkin for her grandson. Recognize Your Skills: Once your pumpkin is complete, take a moment to recognize all the skills you used in order to make it happen and think about how you can transfer them to other areas of your life. It is likely that you used; knife skills, knife safety, tactual awareness, shopping skills (traveling to the store, money management, personal grooming, clothing management, etc. ), organization, problem solving, critical thinking, creativity, and more! An array of carved pumpkins glow in the dark. If you would like instruction in carving a pumpkin or any other independent living skills, feel free to contact Bobbi Pompey, ILS Specialist, at bpompey@lighthouse-sf.org or (415) 694-7613. Independent Living Skills include: cooking, labeling/organization, clothing management, personal grooming, make-up application, cleaning, accessing print, low vision devices and other everyday skills.